WASHINGTON – U.S. Senators Johnny Isakson, R-Ga., and Jon Tester, D-Mont., chairman and ranking member of the Senate Committee on Veterans’ Affairs, and U.S. Representatives Phil Roe, R-Tenn., and Tim Walz, D-Minn., chairman and ranking member of the House Committee on Veterans’ Affairs, today applauded the signing by President Donald Trump of critical legislation to ensure veterans have continued access to health care in their own communities. U.S. Department of Veterans Affairs (VA) Secretary David Shulkin informed the Senate VA committee of an impending shortfall in funds for the Veterans Choice Program at a committee hearing on June 15. In response, Senate and House VA committee leaders worked together to pass the VA Choice and Quality Employment Act of 2017 to authorize and appropriate funding for the VA to continue the Veterans Choice Program and strengthen VA care. The VA Choice and Quality Employment Act of 2017 passed the House by a vote of 414-0 on July 28, and it was approved by the Senate on August 1. In addition to providing critical funding to continue the Veterans Choice Program, the legislation also authorizes 28 major medical facility leases and puts in place reforms that strengthen the VA’s ability to recruit, train and retain their workforce. The 28 major medical facility leases authorized in the VA Choice and Quality Employment Act of 2017 include Ann Arbor, Mich., Birmingham, Ala., Boston, Mass., Charleston, S.C., Corpus Christi, Texas, Daytona Beach, Fla., Denver, Colo., Fredericksburg, Va., Gainesville, Fla. (two leases), Hampton Roads, Va., Indianapolis, Ind., Jacksonville, Fla., Missoula, Mont., Northern Colorado, Colo., Ocala, Fla., Oxnard, Calif., Pike County, Ga., Pittsburgh, Pa., Portland, Maine, Raleigh, N.C., Rochester, N.Y., San Diego, Calif., Santa Rosa, Calif., Tampa, Fla., Lakeland/Tampa, Fla., Terre Haute, Fla., and Rapid City, S.D. The Senate Committee on Veterans’ Affairs is chaired by U.S. Senator Johnny Isakson, R-Ga., in the 115th Congress. Isakson is a veteran himself – having served in the Georgia Air National Guard from 1966-1972 – and has been a member of the Senate VA Committee since he joined the Senate in 2005. 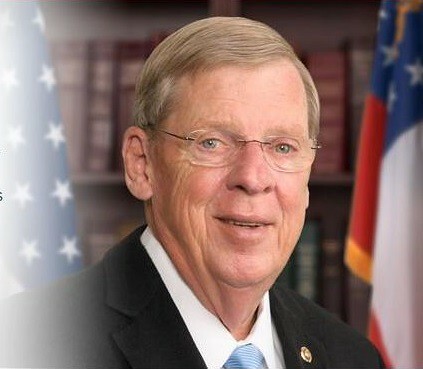 Isakson’s home state of Georgia is home to more than a dozen military installations representing each branch of the armed services as well as more than 750,000 veterans.